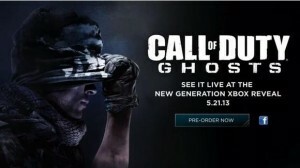 Call of Duty: Ghosts is nearing it’s launch with the usual stealth and minimal fanfare it’s exhibited in previous years. Ah who am I kidding it’s screaming “look at me! look at me!” from the rooftops like a needy-baby, greedy-baby. The last dollop of news to dribble from Activisions secret PR bunker is the anticipated single player trailer. Enjoy the vid and get ready for Call of Duty: Ghosts launching November 5th worldwide on the PC, PS3, Wii U & Xbox 360. COD: Ghosts will also be a launch title for PS4 on November 15th and on Xbox One on November 22nd.